Dissertation proofreading is a specialist skill which requires expertise and experience in the field or subject of the dissertation. 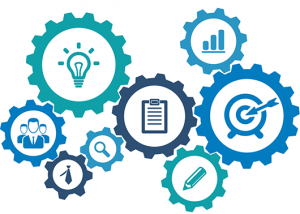 For this reason at Express Proofreading our proofreaders are senior academics and practitioners who have experience in the relevant subjects, as well as in the processes of high quality proofreading and editing. We are able to assist students specialising in a variety of fields from the humanities to the sciences by matching your dissertation to our most suitable editors. Many proofreading services simply outsource proofreading to freelancers, we do not do this! We have an in-house team of dissertation proofreaders, some will work remotely, however all of our proofreaders are stringently vetted by us and meet our high standards of proofreading. All of our editors hold as minimum Masters/PhD qualifications, however not only this we also ensure that they meet our strict grammar and writing standards. All of our editors are also native English speakers which ensures that they are able to understand and help you in conveying what you intend to. Basic Proofreading – The aim of our basic proofreading service is to correct minor errors from typographical to spelling and minor grammatical inconsistencies. This is used when you have already thoroughly checked through your dissertation and simply require a second pair of eyes to go over your dissertation. Proofreading & Editing – This is our comprehensive service, as part of our proofreading and editing service we will correct grammatical issues, word choice, sentence structure, syntax and any other issues identified. Heavy Editing – Similar to the Proofreading & Editing service the Heavy Editing service involves correcting all of the same issues thoroughly. The only difference is that this is aimed at students who require greater time being spent on their writing. This is to reflect that some students may require greater assistance during the proofreading process. The turnaround times for our dissertation proofreading service can vary depending on the word count of your dissertation, as well as the turnaround time that you select. For any dissertation under 10,000 words you can select any turnaround time from our standard 48 hour timeframe to the 6 hour turnaround time. However, if your dissertation is above 10,000 words then you can only select the standard turnaround time, this is because for documents above 10,000 word we normally return the documents within 3 days. For particularly large documents, we will confirm a timeframe while you place your order. Simply follow the steps by selecting ‘Instant Quote’ then when we receive your dissertation we will begin proofreading your dissertation. Your dissertation will be proofread using Microsoft Track changes, this allows you to see the changes that we have made, as well as any comments. You can then either accept changes individually, or approve them all. We will also send you a final copy with changes integrated into your text. Both documents will be sent to you via email. 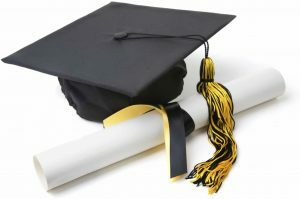 You will find many dissertation proofreading services online, however it is important to select a company which has expertise and a reputation for excellence. We believe that we offer one of the best proofreading services on the market. We do not cut corners, we give each dissertation the time and attention that is required to ensure that you are fully satisfied with our service. We also provide amongst the most competitive pricing. There are no hidden charges, we believe in fair and transparent pricing, for further information about our pricing visit our pricing page. Or you can visit the instant quote page and upload your document for an instant quote. As we offer three levels to our dissertation proofreading services you will also be able to find the right service for your particular needs. 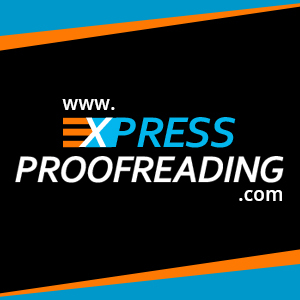 Express Proofreading is a UK based proofreading service, although we help students and academics around the globe we are based in the UK and all of our proofreaders are native English speakers so you can be assured of our service. As a proofreading service specialising in dissertation proofreading, our writers regularly release new articles and guides on various topics from grammar rules to common mistakes, to how to structure strong arguments in your dissertation and many more. Visit our English blog for further information. To place your order for us to proofread your dissertation, simply visit the ‘Instant Quote’ page. There, you will be able to select the turnaround time you require (Please note: for documents over 10,000 words please select the ‘Standard Turnaround’ time as an exact time will be confirmed once we receive your document), then you can begin to upload your document and a price will be given based upon your word count. Once happy you can complete your order via our secure PayPal payment gateway. Alternatively if you have any difficulty using this method or need to speak to a member of our team you can also email your dissertation to us and we can process it manually for you.